Iceland is always in the top list of the countries with the highest level of live, so what makes it so special? We tried to come up with the main reasons what make Iceland so attractive to people worldwide. 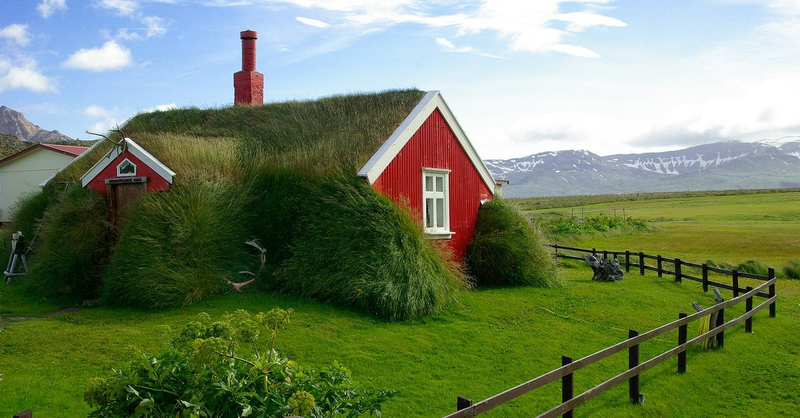 Iceland is very peaceful and safe country, the police doesn't carry guns with them and there is no regular army. People here are not afraid to become a victim of crimes, which make Iceland a stress free place. You may witness that sometimes parents leave the baby prams outside the restaurants, it is not because they are bad parents, it's just there is no risk for the baby to be kidnapped and the kid can enjoy the fresh air, while you will have a meal. Icelanders are very cautious about the quality of products, so it is very unlikely to buy cheap item that will fall apart the next day. Indeed it is not cheap in Iceland, but at the same time you will be confident that food, clothes and items that you buy are the best quality. Even tap water in the country is so good, that it doesn't need to be filtered beforehand. There is probably no country in the world that cares so much about nature and wildlife around them. Iceland has unique flora and fauna and local people make sure that unique landscapes, which were formed thousands years ago, remain almost untouched. There are many rules, which will explain how to make sure you won't accidentally destroy local eco-system. Icelanders are very friendly and welcoming people, if you stay in the country for some time, you will notice that people call each other by first name. Of course party the reason is that in Iceland there is no surname (they use patronyms instead), but mostly it is because in the country people prefer to threat each other equally, so don't be surprise if you see kids calling their teacher by first name! The whole culture of spending time in geothermal pools would be really unusual for many people outside the country, especially if there is a chance to meet someone you know there. In Iceland there is always a big chance to meet your colleague, neighbour, friend in the pool, as the country is very tiny and it is almost impossible to avoid people. However, it is not awkward to bathe in the hot tube with your acquaintance, so don't worry, you will get used to it!